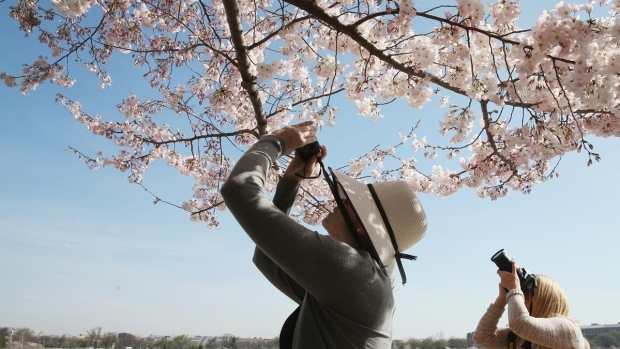 We're still waiting on the actual blossoms, but the National Cherry Blossom Festival is in full swing! Read on for some of the key events, or check out the full schedule here. Bring your kite — or just your eyes — to the National Mall as the skies fill with dozens of kites during the Blossom Kite Festival this Saturday. Anyone can participate, and the festival will even have a kite-making station for kids (while supplies last). The festival goes from 10 a.m. to 4:30 p.m. This event is so nice, it's happening twice. 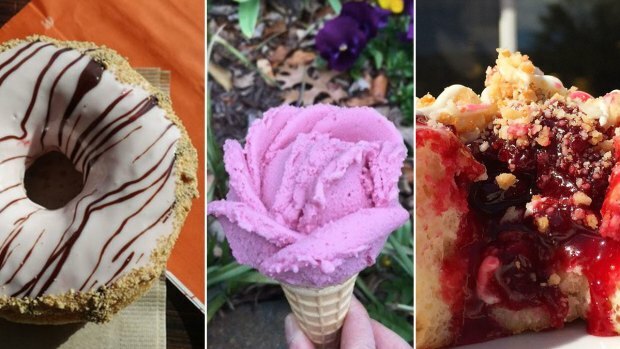 Pick your date (March 31 or April 7) and take a self-guided tour to some of downtown D.C.'s most popular restaurants, where you can show your wristband to enjoy cherry blossom-inspired goodies. Third Eye Blind, Bush and The Lovely Band are headed to Anthem at the Wharf for a blossom-themed night of music during April 6's Blossom Bash. Petalpalooza (formerly the Southwest Waterfront Fireworks Festival) offers a day of interactive art, games, live music and a huge fireworks display on April 7 at the Wharf from 1 to 9:30 p.m. The festival is free to attend. Head to the Tidal Basin for a ceremony featuring remarks from U.S. and Japanese officials, and traditional songs and music. The free event happens from 3 to 4:30 p.m.
Hit the road for a bike ride through downtown D.C. that stops by three landmark geren spaces, and learn the history of each on April 8. The ride is open to 100 people on a first-come, first-served basis, with a suggested donation of $15. The Newseum will host "an evening of Japanese sights, sounds and tastes" April 13, including an open beer and wine bar, signature Asian dishes from Wolfgang Puck, Japanese music, a photography exhibit and more. 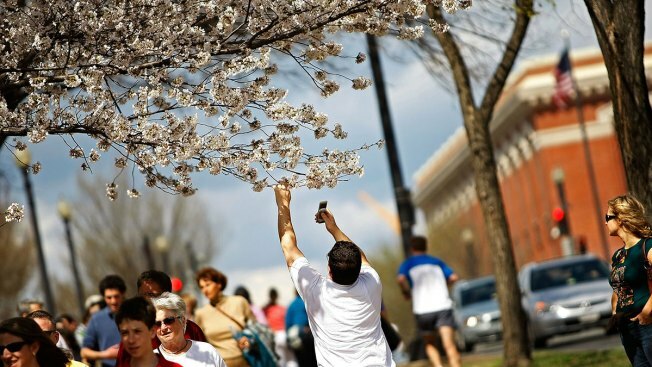 Marching bands, dancers, floats, helium balloons and an extreme pogo stunt teams will make their way down Constitution Avenue during the National Cherry Blossom Festival Parade on April 14. The parade begins at at 10 a.m. and will travel between 7th and 17th Street NW. You can buy grandstand seating tickets starting at $20, or watch between 9th and 15th streets for free. The Sakura Matsuri Japanese Street Festival is the largest one-day celebration of Japanese culture in the U.S., according to Cherry Blossom Festival organizers. After the parade, enjoy four stages of entertainment, arts vendors and food booths from 10:30 a.m. to 6 p.m. Anyone older than 13 needs a $10 ticket to get in, which you can buy in advance.